From 2008- 2011, Freedom to Thrive (Formerly Enlace) undertook strategic research on mass incarceration and deportations. In 2011 Freedom to Thrive launched the Prison Industry Divestment Campaign to address the root causes of harm to communities of color caused by the Criminal and Immigration System. Freedom to Thrive (Formerly Enlace) works to create a world where safety means investment in people & planet and to end the punishment-based criminal and immigration systems. For additional information visit Freedom to Thrive’s webpage. 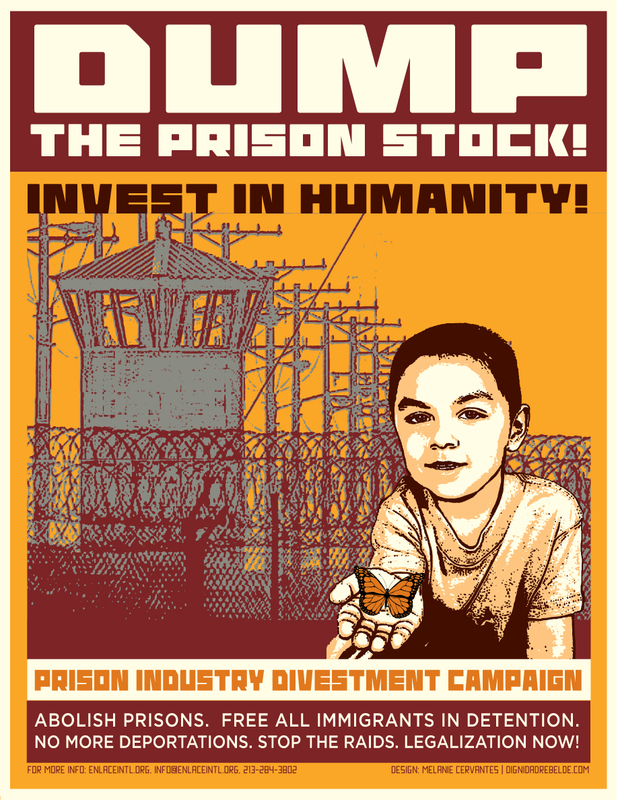 The Prison Industry Divestment Campaign targets the State and corporations as root causes of criminalization, incarceration, and violence against our communities. We have waged successful campaigns against politicians, Wall St, banks, and prison industry corporations. Our research has followed how the State and Corporations have expanded prisons to our homes through electronic shackles and other forms of prisons, and the connections between Police, ICE, and Border Patrol. The Campaign has since become a national movement bringing together Black, Brown, and LGBTQ communities to divest from criminalization and incarceration, and demand reparations and investment in our communities!